There’s not a lot to say about this beauty – she’s delicate, tiny and impractical, and easily the most gorgeous bag in my collection! 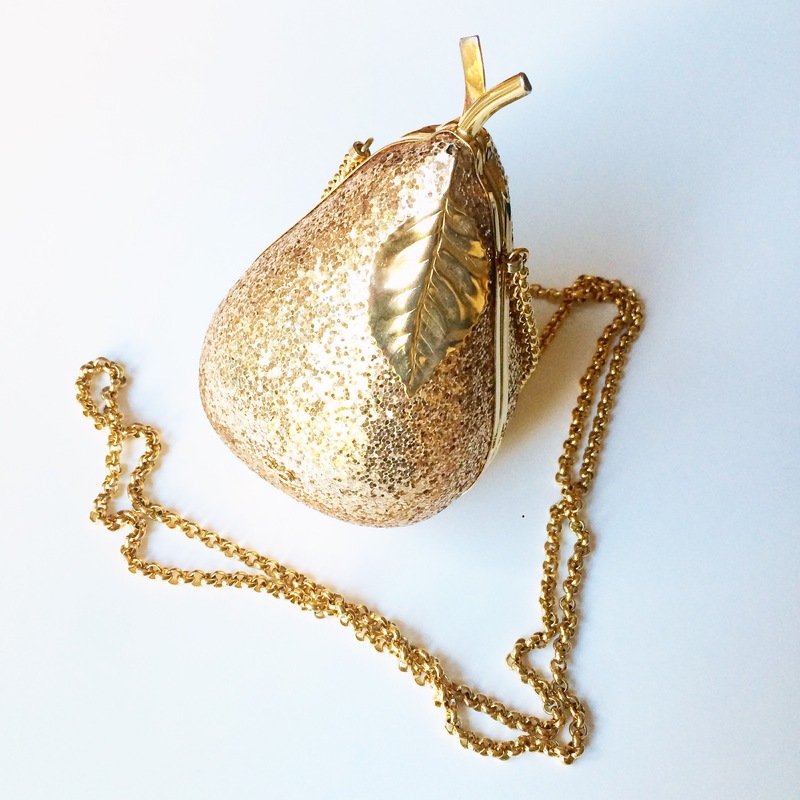 Part of a range of fruit themed evening bags, the pear clutch also came in yellow silk. 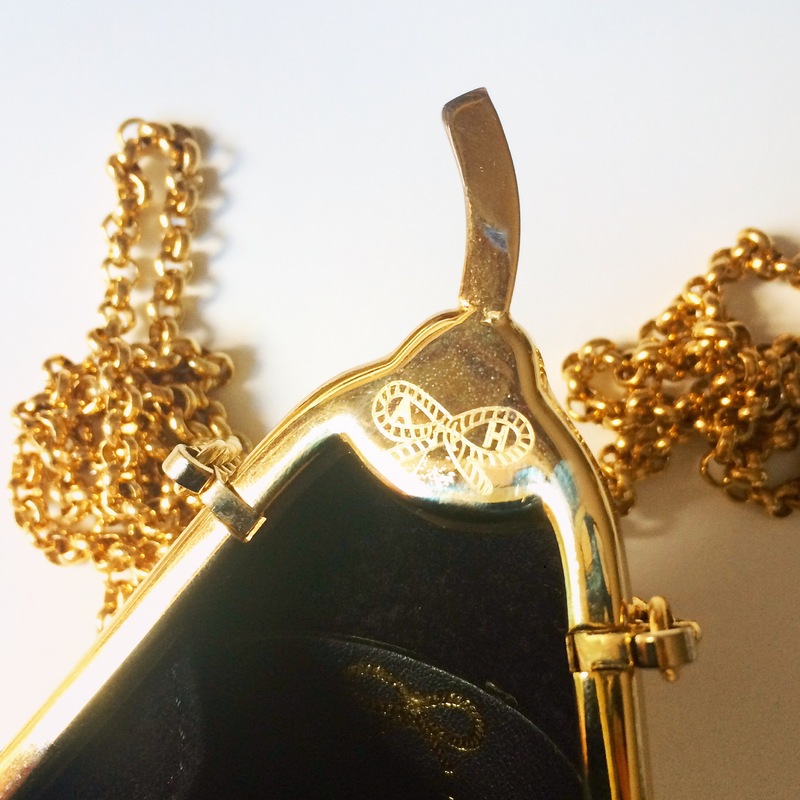 I adore every aspect, from the beautiful, subtle bow insignia on the front, to the pretty gold leaf on the top! As far as size goes, this baby isn’t even big enough to hold my phone… But that’s what husband’s pockets are for, right?! I don’t very often buy things that are completely impractical, but I’m sure you’ll agree that this is well worth the slight inconvenience of not having your phone dangling next to your hip at all times! It was definitely worth it 😉 !! I was damn close when I was thinking of A H’s Apple shape clutch bag lol! 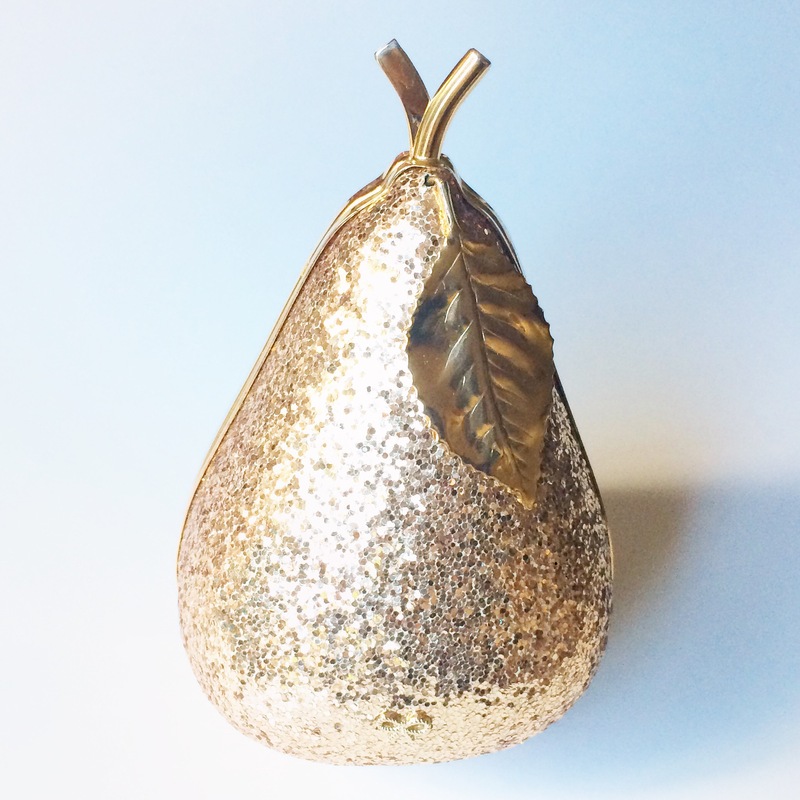 apples…pears… All the same! 😉 Anyway, it’s gorgeous… You need Jimmy Choo’s Vamps now ! So close! Ha ha! 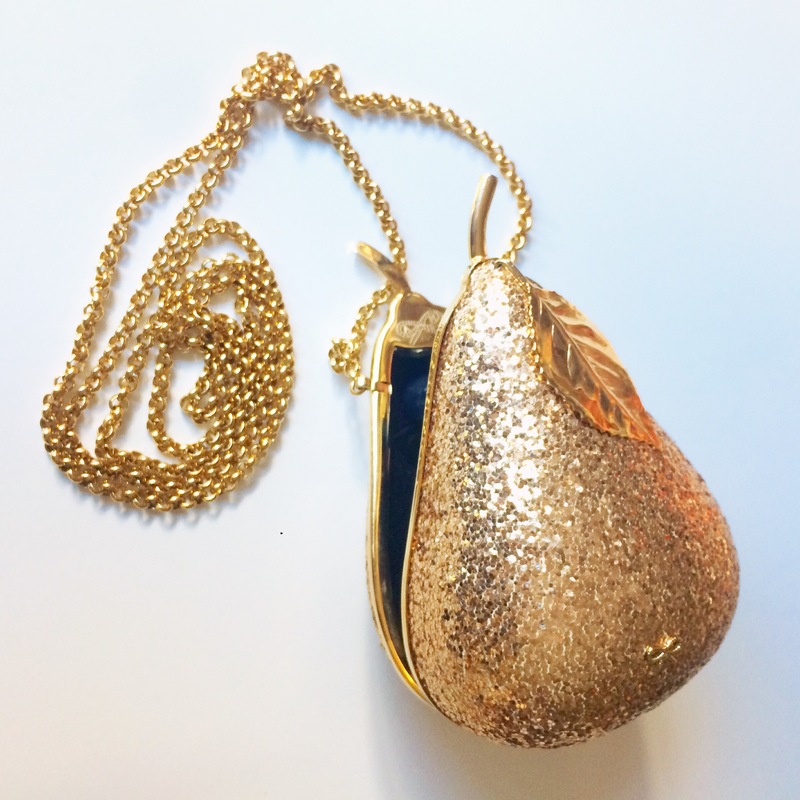 They did have the strawberry clutch in at the same time, and told me the apple clutch was coming later, but the pear was soooo adorable (and such a great colour)! I definitely prefer the pear-shaped one! So feminine! The colour is definitely gorgeous!! Nice hubby too! 😉 we’re def. spoilt! 😉 Have you taken this nice thing out? It’s amazing, I love this clutch! I totally agree! This impractical bag is totally wonderful. Perfect for a night out. It’s a pity there’s no room for your phone, lol.